The last day of our one-week tour through Jordan – from my journal 11 October 2015: I haven’t slept well. I felt people in the group didn’t like me but they liked Don. I said to him it’s because I’m abrasive and I say what I think. He simply replied ‘that’s the difference’. I felt like I’d been slapped. There were a lot of early morning tears. It’s not that I say what I think, it’s the way I say it – and I realized that I believe I have to be abrasive just to be heard. This next tour (Egypt) will be different I think. It feels as if the one we just did was practice for being with a group of people all the time. We’re both so very sensitive, but don’t show it, and try to compensate for it in different ways. This next tour I’ll practice saying what I need to say in a more measured way and trust that I’ll be heard. Also I’ll ask more questions about the schedule when we’re given time off before the next activities. I’m still annoyed about the way we were rushed through Wadi Rum after hanging around doing nothing much for the morning before in Petra and for the following afternoon in Aqaba. This journal entry highlights two of the challenges of travelling with a group: being with other people almost all the time, and scheduling. With the exception of day tours and an eight-day cruise around the Galapagos Islands, Don and I have been travelling independently for almost five years. We’re not used to travelling with other people, and honestly we’re not that sociable. We’re mostly very content with being alone, and often joke: Look at us, being sociable! when we go “out on the town”, which usually means having dinner with other people we’ve met on the road and being home by ten o’clock. We’re the antithesis of party animals, and we mostly don’t drink. When a whole group of strangers travels together it’s inevitable that not everyone will like you, or that you’ll like all of them. From my admittedly limited experience most people most of the time are easy going and friendly. If anyone is likely to be difficult it will probably be me, but even I met my match in Africa. During my twenties I did two four-month overland tours, one through South America and one through Africa. In South America there were twenty-four of us all living together in a truck travelling from one end of the continent to the other. We had what we needed for camping and cooking our own meals. We spent a lot of time together and gelled really well as a group. During that entire four months I think the only friction came when my boyfriend at the time got mad at me because I didn’t make his porridge the way he liked it. One member of the group was off in the bushes having a quiet early morning pee when suddenly a bowl of porridge came flying past her. I still chuckle at the image that conjures up. On the other hand there were only twelve of us in Africa and there was a lot of friction. Heather was obnoxious and nobody liked her. In Bangui, the capital of the Central African Republic, we were camped on the edge of the city and had a roster to keep a round-the-clock guard on the camp. One night Heather and Eddy were on the graveyard shift, midnight to eight in the morning. At some point they started arguing. If any of us weren’t awake at that point we all sure were now. Eddy got so riled he slapped her. She started screaming, He slapped me, he slapped me! Nobody responded. Nobody cared. There’s no way to condone his behaviour, but there was no way to condone hers either. She was relentlessly entitled and irritating. I was pretty graceless myself in those days. I swore like a trucker, and I know for sure that at least one member of the group didn’t like me. When you join a group you get what you get. The up side of course is that you can meet some fabulous people and have a great time, in many cases making friends for life. There’s nothing like being thrown together for the right people to find each other. It’s like water, always seeking its own level. Most tours are designed to give you a ‘best of’ experience, and also are built around a time frame. This was really brought home to us with the tour we took through Jordan. It was a tour organized for people from Britain taking a one-week vacation. They could fly out on Saturday and be home the following Sunday. There is no doubt we covered the highlights of Jordan, but I would have liked a closer connection with the people, and to go hiking in Wadi Ibn Hamad. Wadi Ibn Hamad is difficult to get to, even so I’d have chosen it above some of the other places on the itinerary. And I’ll never be happy about the rushed scheduling of our visit to Wadi Rum. On the other hand we chose the tour because it was the only one offering two full days at Petra, and if only for that reason we were happy with our choice. In South America, before the advent of the internet, when everyone travelled with such weighty tomes as Europe on Five Dollars a Day, and The Student’s Guide To (wherever), and Lonely Planet in book form, we all rode along in the truck reading The South American Handbook. I think there were five or six copies circulating amongst twenty-four people. The South American Handbook is surely the most comprehensive travellers’ guide ever written for any country: almost two inches thick with tissue-thin pages and tiny print, it covered everything you would want to know. With this guide, and the help of our expedition leader who had been travelling the length and breadth of the continent for four years, we largely made our own itinerary. We had four months with the only proviso being a fixed arrival date in Rio. In Africa there was no such handbook, and no World Wide Web. We were completely dependent on our expedition leader who, like our leader in South America, had also been travelling the length and breadth of the continent for four years. He convinced us to go to some of the lesser-known game parks instead of to the big two in Tanzania: Serengeti and Ngorongoro Crater. He said something along the lines of: we could go to those big game parks and see lots of animals, and lots of other tour groups, or we could go to these smaller parks where you’re really lucky if you spot a lion in the grass. In retrospect it was clear that he’d had his fill of the big game parks. And we didn’t know any better, so we went along with his suggestion. So not fair! I still long to get back there to see those huge herds of animals that roam the Serengeti Plain and Ngorongoro Crater. Nevertheless the tour of Africa remains one of the great highlights of all my travels. The tour that we took through Egypt immediately after Jordan was about as good as a tour can get. We had an excellent guide, plenty of time to see all the places that are at the top of anyone’s Egyptian bucket list, and plenty of time to explore on our own. For the most part tour organizers try to include the places and events that will be the most popular, but there are always the places you find out about when you get there that aren’t included and you wish they were. There’s no pleasing everyone, and there’s no getting to see everything – even when travelling independently. Would we do a tour again? Absolutely. On a tour you get all the highlights without all the hassle of making any major decisions. Hotels, transportation, meals, and guidance are all taken care of. And there are other reasons: we chose to do a tour in Jordan for ease of travel. Public transport there is limited and not clearly publicized, not even in Arabic, let alone in English. Locals simply know the system, but for a visitor it can be difficult. I have two sisters who are extremely experienced independent travellers. They both found travel in China difficult, mainly due to having a very limited knowledge of both spoken and written Chinese, and the Chinese having an equally limited knowledge of English. So we will probably choose a tour when we go to China. We’ll hand over all the details and logistics to a tour company and enjoy the ride. We chose to travel with a tour in Egypt for security. It felt safer that way, going to such a restless part of the world, and indeed the entire tour felt very safe. Then on 31 October 2015 Metrojet Flight 9268 from Sharm el-Sheikh, Egypt to St. Petersburg, Russia was destroyed as it flew over the Sinai Peninsula. We’d crossed the Sinai Peninsula on a flight from Amman to Cairo only three weeks earlier. And seven months after our EgyptAir flight from Cairo to Amsterdam, EgyptAir flight MS804 from Paris to Cairo crashed into the sea after an internal explosion. There’s no guarantee of being safe: there’s only trusting the journey. 1. Research the country yourself before you book: discover for yourself what you’d like to see or experience and find out if it’s on the tour schedule. 2. Quiz the tour company in detail before you book. Where, when, how, and how long? Will there be a chance to meet the local people; will we have some experience (however brief) of their ordinary life? Who sets the schedule? 3. Never be afraid to speak up about scheduling decisions once you are on the road. I didn’t speak up, or clearly express my reservations about the scheduling around Wadi Rum in Jordan. Having learned my lesson, when the scheduling of our felucca trip on the Nile seemed rushed, I requested a longer time. It turned out everyone else in the group agreed with me and things were rearranged. There’s no perfect tour, and travelling as part of a tour group will never be the same as independent travel. There’s no room for lingering, or for spontaneity, or for creating the itinerary as you go, or for travelling for days down the Nile on a felucca instead of for a couple of hours. But with a good tour company and a really good guide it can still be a rewarding experience, and it really is wonderful to be able to hand over all the organizational details, and sit peacefully gazing out the bus window enjoying the ever changing scenery. Some of our group in a Cairo cafe. Next post: The Egyptian Museum, a four and a half thousand year old boat, and screaming like a banshee inside the Great Pyramid of Cheops. I can honestly say I had no problem with you whatsoever. I enjoyed your company, along with Don. We’re all different, and hopefully, in our own small way, bring something positive to the group. Hey Vikki! I remember you and Geoff well, especially at Hot Water Beach. That was a fabulous photo op if not exactly a great hot tub experience. Thanks for your kind words. I’d liked to have gotten to know you better too. I think it’s too late for me to change, and as you say, I am who I am, and Iike anyone I have my good times and my sad times. I love creating the blog, and I committed from the beginning to being as authentic as I could be. Not much point otherwise the way I see it. I must say I’m a bit surprised to hear you describe yourself as abrasive. One of the things I like about your writing style here on the blog is that you are not abrasive. You are clear and concise, even when talking about difficult things, but in a way that is thoughtful rather than confrontational. and yes it is exactly the difference between feeling threatened in the moment, and having time to think things through. When I’ve had time to think things through nothing is black and white in my world – there’s good and bad in everyone, and we’re all doing the best we can, but I can get my buttons pushed that’s for sure. Egypt coming soon! Please don’t be so hard on yourself. We are what we are. I never heard a word said against you and Helen and I certainly enjoyed the pleasure of your company – and Don’s of course! And our admiration of you has only increased with your fantastic blogs and wondrous photos. Do keep exploring and enjoying the wonders of our beautiful planet. Warm greetings, very best wishes and happy travelling. Wil. Oh Will, thanks for your support. People are always telling me I’m too hard on myself. I suppose it’s true, but I’m way better than I used to be, way more at peace. It’s progress eh? And yes, we are what we are. I like to publish these inner workings, the story of the inner journey – it keeps the blog honest so people now we are real. We too enjoyed you and Helen very much. And everyone. It was a good group. Warm greetings to you too. We might be in England next summer – maybe we can all have a reunion. I’ve never met you, I only found your blog online, but I love this post and I love following your travels. Your honesty and authenticity is as endearing as your wonderful photos and stories. And I also totally relate. I can be abrasive myself at times! Oh and I look forward to exploring your blog further – loved what I saw from a first short foray. We used to only do independant travel but lately have enjoyed some quided tours. I think it depends on where you are gong. It takes more planning of course, if you do it yourself. I felt we sometimes missed things when we did our own thing. I also love meeting interesting people on the tours. Some are better than others and you can’t please everyone. The flying porridge dish was funny. The things we put up with when we are young! Looking forward to Egypt. We’ve missed stuff travelling alone, and we’ve missed stuff on tours. There’s no way to see/do everything. I love the feeling of being able to explore more deeply with independent travel, and I don’t think tours will in any way become the norm for us, but now and then it’s a nice break. Egypt coming soon. Very informative, thank you! I’m with you on preferring to be alone sometimes. I’m sociable when I’m in the mood, but I prefer to be social with people I know well. Over time, I’ve realized that I don’t really like mingling with strangers who ask me 20 questions in the guise of getting to know me nor do I like engaging in small talk. I believe in people getting to know each other organically versus askin a series of questions that seem invasive. I have also found that being among some groups of people can be lonely when there isn’t a connection. Thanks so much. We didn’t get the 20 questions thing. I’m not sure anyone did, though there may have been a bit of that in the beginning. 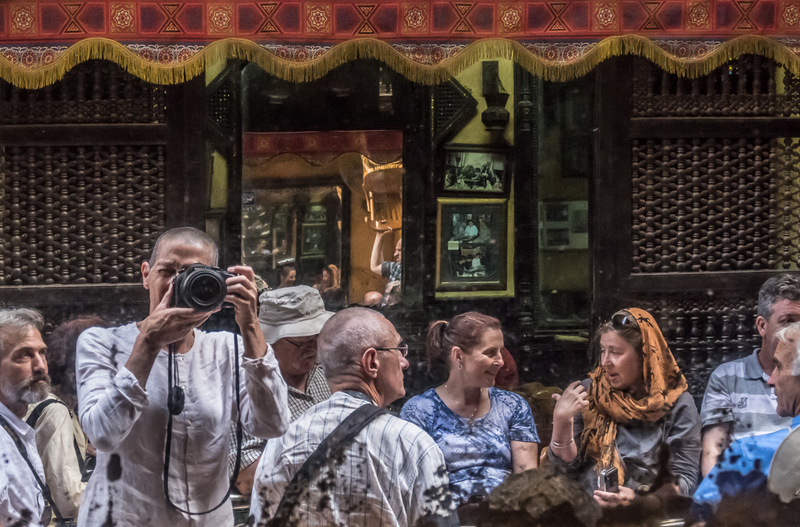 I think the most frequent subject of conversations in tour groups is everyone’s travels. It is after all what we all obviously have in common. I too can get tired of small talk very quickly, and although I love people, and love being sociable, a little goes a long way and then I need to scurry off and be on my own again. As you say it’s easiest with people you’ve known for a long time. I think this applies to pretty much everyone. It’s nice to have people like you, but it’s better to like yourself! I love the way you explored this in the post – travel is such a remarkable way to learn about who you are. Onward to Egypt – can’t wait! Travel creates its own inner journey that’s as much an adventure as the outer journey. You can’t help but be changed by it. Yes, Egypt coming! Alison like others have commented I am surprised to hear you describe yourself as abrasive. I certainly wouldn’t get that from your writing. We have traveled both in tours and on our own. For us cycling in foreign countries or challenging landscapes the tour brings that added comfort of support. We find on such trips people have always been compatible as frankly if you are signing up to cycle 50-100kms a day you know what you are getting into. We are pretty easy going, or at least we think we are. I think there are places for guided and self guided depending on the situation and level of comfort. A very thought provoking post. When our guide talked about women being responsible if they’re violated that sure got me riled up, and though I didn’t actually say much in words my body language said a lot. And the rush through Wadi Rum – instead of calmly asking questions about the schedule, and seeing if anything could be changed, I got snippy about not having enough time for breakfast. Oh well. C’est La Vie. It really was a learning curve for me. I too like to think we’re pretty easy going, and having the experience of being in a group in Jordan made it all that much easier in Egypt. Alison totally understandable about the reaction to the guide. I was ruled up just reading it! We are all learning as we travel this journey of life. I really appreciated how honest you were in your post. Thanks for this. Ian and I no longer travel much, and we were just talking the other day about whether we’re open to group tours as an alternative to making bunches of arrangements. The jury’s still out, but this post will be very helpful in our discussion and eventual decision. It’s why we enjoy cruising — we make the decisions on where to cruise based on itinerary, and book our own excursions at stopovers, but they feed us, serve us, and move us from place to place. A good combo. And we’ve always enjoyed our various day tours, meeting and enjoying new people, having fun with them and sometimes even making new longer-term friendships. As for your personality in groups, Alison, I don’t know it, though I feel I know you quite well from our couple-couple socializing. A reason we enjoy our visits with you both (and enjoy reading your blog) is because you both are completely honest and straighforward. You are both WYSIWYG! I admire that and enjoy it more than the typical casual “surface” socializing. I try to be that way, so I know what you mean about others not understanding that, not being used to that social approach, and thus reacting as if I’m not friendly or whatever. Another thing is feeling shy — I’ve been told that people see me as stuck-up, when in fact it’s just my shyness presenting itself. So perhaps what you felt stung by wasn’t so much about who you are or how you are socially, but more about wishing certain people could understand and accept you, and like you. We all need to be liked. I’ll never get used to the idea that “I am who I am” is connected to “sometimes people won’t like me”. We all want it all, LOL. We want to be open and present our true selves, AND we want to be liked for all of that. I love cruising for the sheer luxury of it, but there’s never enough time in each place for me. I like to explore more. It was easier in Egypt because I’d had a little practice in Jordan. I too have been accused of being aloof/stuck-up when it’s just shyness. I’m nothing like as shy as I used to be, but there’s no doubt I was in Jordan, and not really in touch with it. It would have been easier if I was. If I’d recognized it I would have just let it be and lived from the truth of it. Vulnerability is a lot easier to handle when you’re not hiding from it. I guess it took me by surprise since it’s been so long since I’ve felt that way. Oh and yes, we all want it all! I guess I can say that I’m not nearly as sensitive, and as easily crushed, as I used to be, but I too can still get wounded by stray remarks, or the wrong tone of voice. And all this being completely out there about it is really helpful. I do it because I want the blog to be authentic. And because it helps to get it out of my system. And because it helps me to ‘rewire’ so I’m less likely to make the same mistake again. And I do it because I know I’m no different from anyone else. Everyone’s sensitive to a greater or lesser extent, and everyone has their vulnerabilities. I think we have similar travel styles, and I can tell you it is really nice to hand it all over now and then. Do go to Egypt and Jordan – they’re both fascinating countries. Alison, I too have been known for saying what I think, and can be abrasive. My mother used to call me ‘honest to a fault’. As I’ve gotten older, I’ve self-censored more. It seems to me that others have done the same. To be honest, I don’t think it has made social life any easier – rather, just more tedious. I think that may be part of why some elderly people seem so muted and devoid of personality. For that reason I think it is important to give oneself permission to be who one is – and to give others the same. I well remember I said something to you once that was very rude and completely uncalled for. I hope you’ve both forgiven, and forgotten! Sometimes I’m appalled by what comes out of my mouth, though I can say I’m better than I used to be. ‘Honest to a fault’ is a polite way of putting it. I agree with your last sentence, and the older I get, the better I get at both sides of the equation. Love this post Alison! I too seldom do group tours unless I am traveling alone to a place that requires it. I had huge reservations about doing a group tour in Cuba but ending up loving it and the people. I tend to not like big groups of people. I get along with anyone yet deep down inside feel like I don’t relate closely to many. You’ve made some really excellent points in this post. Thanks! Thanks so much Nicole. Maybe we’ll consider a tour in Cuba! We’re planning on going this winter. I too don’t relate closely to many people but I think that’s true of just about everybody. We all have our close friends and family, and then a wider circle we’re friendly with, and then an even wider circle of acquaintances. I also don’t like rude and egotistical people. I don’t think anyone does. I think in Jordan I was thrown a bit off centre being around so many strangers for the first time in forever. I can’t imagine you being difficult Alison. You are a wonderful person ! 😊 I tend to like smaller groups so much better. It is debatable whether being a bit “abrasive” is necessarily a bad thing, or whether one really needs to be liked by most others, or whether being disliked is all that important, considering most people we meet on a tour we will never see again. They may be irritated by us, or we by them, but then we go our separate ways and forget all about it. Everyone has a different threshold of comfort. What I think is comfortably open and honest may be regarded as abrasive or rude by another’s standard. A lot of this is both individual and cultural. I have struggled with feeling self conscious as well — perhaps most women have, but less so for men. And that’s cultural. The truth is that most people who I happen to encounter on the road of life are not important enough for me to care whether they like me. If they don’t like me or I don’t like them, this too shall pass. The important thing is how we live with the reality of not being liked or not being important to another person some of the time. So we have to pick and choose the important few people whom we like and we want to like us, and accept that that is enough. I think my problem was that I lost sight of all you said in your first paragraph, (and which I know to be true) so I never quite relaxed. I’m fairly confidant it won’t happen again. The reason I share how it is for me is that I then get it all out in the open and get to see things with a little clarity. I agree that the important thing is “how we live with the reality of not being liked or not being important to another person some of the time.” and I’m usually quite comfortable with this. Alison, like so many readers who have already commented, the idea of seeing you as an abrasive person never really crossed my mind. I don’t know if it is even the right word – I’ve always appreciated your honesty here and I like the fact that you have an opinion (so many people don’t). Bama is similar as he openly speaks his mind – particularly with me – though sometimes the tone or the words he uses can strike the wrong note. I am all for the freedom of independent travel but sometimes there are moments when I find myself wishing there was a tour guide to teach me more about a particular place. What worries me most about travelling with a tour group is whether everyone can get along. As you pointed out, it only takes one rude/obnoxious person to ruin the dynamics and I learned this the hard way two years ago on a six-day press trip. There were four of us who were all around the same age (including a representative from the PR agency in charge), and we got along like a house on fire. By the end of the trip we’d become good friends, started a Whatsapp group and organised regular meetups every two months or so. The fifth person arrived towards the end, and he made our group dinner a very awkward affair. I still think he is one of the most obnoxious people I’ve ever met; he was pretentious, acted like a know-it-all, and became very condescending to the rest of us while being obsequious to the resort’s managing director. It was our last night at that particular resort (the fifth person was staying on) and we were so thankful to be going somewhere else the next day. When we returned to work, that guy even had the nerve to ask the PR agency for our email addresses! Well I’m not frequently abrasive. Well hardly ever really. It’s just that I’m so hard on myself that even once is too much. And yes, perhaps like Bama the tone or choice of words can strike the wrong note. We all want to be liked, to somehow be model human beings, and online it’s very easy to cultivate an image of that. And I’m no different, but in the end authenticity is more important to me. I hope my choice to be self-revealing gives others the freedom and courage to do the same. That’s an important point I forgot to make – that tours come with a built-in guide to all the places you visit. That fifth person who joined your group sounds like a doozy. Like Heather in Africa only worse. In Africa we travelled in an open sided 4×4 Bedford truck, ex-British army. Heather, in her perfect Safari outfit, waltzed up to the truck and announced “I’d like a seat in the non-smoking section”. Hmmmmm. Don’t think she knew what she was getting into. Thanks Tim. I do think as we get older we have less need for a lot of socializing, especially if you’re in a nurturing and supportive relationship. On the other hand Don and I do need to be conscious about becoming too isolated when we’re on the road. We do socialize more back in Vancouver where we have long-time friends. Oh dear. I always thought traveling with a bunch of people would be fun. Just take it easy on yourself please. Great post. Oh it is fun! I guess I painted too bleak a picture. All the tours Don and I have been on we’ve 99% of the time been with lovely people whose company we enjoyed, and hopefully they enjoyed ours. I wanted to point out that it can be difficult at times, but most of the time it really is fun. Thanks Curt. Yes, you are extremely independent travellers! I’d love to see China independently – to get off the beaten track, and maybe in the end we’ll do a combination depending on how adventurous we’re feeling, though if things go according to plan it won’t be until 2018. Sooo much depends on the leader, and you never know what you’re gonna get. Alison, re above – yes you did say something rude and uncalled for once, and you did apologize. Most people do not even realize they say something offensive, and don’t apologize, so this speaks well to you self-awareness and sense of responsibility. There was a period of time when I used to reflect on conversations I’d had and worry I’d said something offensive, and a few times I made apologies about something I thought must have been offensive, when no offense had been taken. What is offensive to one person might not be to another person, so you don’t always know. I remember someone told me once that 1/3 of the people would like you no matter what you, 1/3 of the people wouldn’t like you no matter what you do, and the remaining 1/3 does not care. It’s an interesting viewpoint to ponder on. I’m much better at saying sorry than I used to be. And much better at recognizing when it’s needed. Oh good lord when I think back to my graceless youth I can only be glad about how much I’ve changed – in self-awareness, and in compassion both for myself and for others. I love feeling that I’ve improved with age. And I too have apologized at times when there’s been no offence taken. It’s better than the opposite. I’ve heard the 1/3 rule before. I think it’s a good rule to remember as we all bumble, with more or less grace, through life. PS Looking forward to seeing you Wednesday. This is my great debate on many trips. I’m almost a 50-50 person on independent vs group travel, but only because I travel alone so much, and to weird places! I can’t imagine touring Mongolia completely on my own, so I’ve joined a very small group for later this month. China was the same; I needed logistical help. And for hiking, I really feel a little safer with the numbers in a group, so I choose small outfitters. I learn more in groups, I feel more secure in places where I don’t speak the language and travel logistics are difficult, and I usually like the company most of the day. I do ALWAYS pay up for single accommodations, though – I must have my alone time at night and in the morning, but then I am happily sociable in between. And group size is another matter; big ones can be unwieldy and touristy and frustrating, but small ones mean you’d better like most of the people – and your chances are lower! In a big group, there are more opportunities for a good connection. But then again, I love mapping out my own itinerary and wandering aimlessly if I feel like it. I’ve done Russia, Nicaragua, Iceland, all of Europe, and other places independently and was happy to be able to change plans at will. I like a hybrid, too – independent travel to a country and day tours filled in as I like. I am actually the better version of myself when traveling! I am pleasant and flexible and energetic and almost deliriously happy. At home, I can get down on myself, be crabby, question whether people like me or I said the wrong thing, and find fault. Somehow, that all disappears when I am with strangers. Why I show them a better me is something I don’t get, but I think it means I should travel full-time! Right? I too like the idea of small group travel, especially for places like Mongolia! I would love to do that trip but I doubt I’d ever get Don there. It was interesting to me that in a group of 24 in South America there were virtually no personality clashes, yet in a group of 12 in Africa there were major ones. So what you say is true – with a small group you’d better like everyone because it’s harder to get away from them. With all our independent travel Don and I have done heaps of day tours – probably about a 50-50 mix of private and with a group. I really like day tours – you get lots of information and support, but still have the freedom to explore further on your own on another day. I too am a better version (mostly) of myself when I’m travelling. Everything is new and shiny! And fascinating! And although I’m pretty much peaceful if things don’t work out as planned for one reason or another, I sure can get bent out of shape if I think it’s unreasonable, or if I feel I’m being ripped off. to both kinds of travel. I like some things about both. and hope the chair is not too hard! I usually like to travel alone (or with one or two friends). I like to plan my trip more individual and decide out of the moment how long I want to stay in one place. I also noticed one gets more easy in touch with locals who give you tips for interesting things to see that are not mentioned in the travel book. You’ve highlighted another of the advantages of travelling individually: you’re likely, even if out of necessity, to have much more contact with locals than when in a group. We also love the freedom of planning spontaneously which you don’t get with a group. Thanks for commenting Rabirius. My father usually takes a tour when he goes somewhere with his wife, which makes sense to me because he likes to be certain things are handled and isn’t as likely to enjoy the “adventure” of exploring. This can be challenging sometimes when we go somewhere together, as the decision-making almost needs to be scheduled into the itinerary! Ha! So traveling with others can be a challenge whether family or not, and whether we’re a million miles from home or in our own living room, sometimes our buttons get pushed. It has the opportunity to lead to good things… sometimes one cross moment can lead to one healing moment and soon to a lifelong friendship. Other times, not so much! But clearly you are observant of your own reactions, which makes all the difference! I’m extremely aware of my own reactions. It’s a lifelong process of accepting that if I don’t like what’s happening ‘out there’ I’d better be looking at what’s happening ‘in here’. I know what you mean–tour vs alone. I can see why people who love tours love them. And I also feel like you miss much of the whole reason for traveling (for me) when you tour. I usually tell people if they want to see a lot in a short time, but nothing in depth, take a tour (which to me is not travel). And if you want to see a country or place in depth and experience one place more fully, don’t take a tour. Also, I’m like you guys…love being alone (I’m more myself when I’m alone, other people’s energy (whether good or bad) influences me, sets up walls, affects me, how I feel, how I act, what I say (or don’t say). And I don’t drink (much)…except I did try Absinthe in Prague! Love the mirror selfie. I do love the ease of being on a tour, but then when it’s happening I feel like I’m not getting to see and experience all I want to because of being on a schedule. There’s no way to experience a place in depth on a tour. Egypt was better because by then we’d gotten used to being around people. Absinthe eh! I’ve never tried it. Must get to Prague . . . . . Seriously?! OMG one sip and I’d be under the table. I think I’m much like everyone – sometimes I enjoy people, and sometimes I need to be alone and quiet. Don and I have learned how to take (and give each other) alone time even when we’re together. And sometimes, if it’s the right one, taking a tour can be the best thing. I love the idea of this blog. I’m just 3 years(hopefully) from having all the kids out of the house. The idea of becoming a world traveler at 60 is both exciting and scary as hell. Good luck with your adventures and thanks for the post. Thanks so much Mr Bill. I’ve not been ignoring you. For some reason WordPress put your comment into spam and I only just found it. I hope you get to do lots of travelling. Like anything else it gets easier with practice. And it’s endlessly enlivening. I was a Peace Corps Volunteer in the late 80s/early 90s and remember those “backpacking” trucks that brought loads of young people thru. In my country, Malawi, at the time it was against the law for women to wear shorts or slacks –only non-see thru skirts to your knee. We in PC would try to help backpackers avoid trouble by telling them this (most said they had no idea) but they never listened. It’s best to do your own research to avoid incidents like that. You have a great attitude on travel! Your blog is lovely and I look forward to reading more. I’m looking forward to more travel over the next 20 years now that my kids are adults. I’ll certainly be back here to read more. Thanks so much. I’m glad you’re liking the blog. I never went to Malawi. We passed right by it going through Zimbabwe, Zambia and Tanzania. I do remember wearing shorts, and thinking nothing of it. We all did. Though I also frequently wore a wrap made from local cloth. We love travelling, exploring. The world is so full of fascinating people and places. I hope you get to do lots of travelling! The wrap (chitenje) was what we all tried to get young women to do! Enjoy your travels. I always avoid tours, even day trips, like the plague! Too many people, too much organised fun… however, I can see the advantages if you’re going somewhere like Jordan or Egypt when it’s probably best to have someone with you who knows what they’re doing. Thanks so much afarawayhome. We’ve done many day tours and enjoyed them, some private, and some with a group. Sometimes I’ve wished we’d have more time for exploring, but mostly they’ve been good value, and we’ve always combined them with independent travel in the same place so we had time to explore on our own. I do feel that with both Jordan and Egypt there was more to explore, but at the same time it felt safer in a group and we don’t regret our choice. I also just found your blog. Judging by the excellent advice in this article, I believe I am going to be very happy visiting your Adventures in Wonderland. Thanks! Thank you so much. I hope you enjoy the blog. I really enjoyed reading this post because it is so straightforward and honest. And I do admire you for putting your gut feelings “on paper” so to speak. We have never been on a group tour as a couple, that I can think of. We instinctively avoid them “like the plague.” It’s the fear of being overscheduled, and of being scheduled at all that bothers both of us. Plus, like yourselves we are not hugely sociable. I speak for myself here and I know I can get abrasive in large groups and or super withdrawn. I just get overwhelmed dealing with so many people and all their different energies coming through. We don’t drink alcohol either, so that kind of puts us in the ” stick in the mud” category. Occassionally we have had a guide to ourselves when there is no choice…such as the elephant parks in Sri Lanka. Even then, we tire more quickly with a schedule and dislike being vulnerable to the personality of the guide. Anyhow, all that to say, great read ! Thanks Peta. We too have a fear of being scheduled, but don’t for a second regret our choice to take tours in Jordan and Egypt. They worked for us, but it’s not something we’ll do again in a hurry given out love of independent travel. I’m better at dealing with groups than I used to be, and just pace myself and withdraw when I need to. I suspect there was one couple on the Jordan trip that put us in the ‘stick-in-the-mud’ category because we don’t drink. C’est la vie. I’ve had many occasions when I’ve been glad to have a guide for a day-tour (either private or in a group), and sometimes when not. If abrasive is part of being honest and open, then that is you and I wouldn’t change a thing. Why? To please others? That never works. The only reason to change an aspect of yourself is to please yourself and I can tell you examine yourself more honestly and deeply than most people. I give you kudos and hugs for your couragous self examination. Thanks Cindy. The abrasive thing is exactly what you say – being honest and open, and I try to be measured about it but sometimes I get carried away. I do it because being authentic is more important to me than being liked, but of course, like everyone, I want it all – to be able to be completely myself, and to be liked. But as Gayle said it pretty much always goes: 1/3 of the people will like you no matter what, 1/3 of the people won’t like you no matter what, and the remaining 1/3 don’t care. Yeah, I like travelling with Don. We always can sort through the abrasive stuff. Quicker and quicker these days. Great post and a topic to raise thoughts. Hubby and I are the independant type, too, not really into groups and socialising. Sometimes, when the moment and people are right, sure, but most of the time we just like to have some peace and quiet, and to do things our way. Thanks TSMS. I’ve thought of even more advantages and disadvantages since I wrote the post e.g. advantage you have a built in knowledgeable (hopefully) guide, disadvantage you often eat where it’s convenient, or will suit everyone rather than seeking out where the locals eat. We still prefer independent travel, and plenty of peace and quiet, but the tours through Jordan and Egypt worked out well for us with the notable exception of being rushed for no reason through Wadi Rum. Rushing through Wadi Rum does seem like such a pity. And I can definitely see the security point of view in traveling with a guide in certain areas. Happy and safe travels to you two! We have had some great tour experiences in the days when planning trips from India was too cumbersome. Internet was iffy those days, online payments non existent and foreign exchange, restricted. Our 2004 trip to mainland Greece was one of our most memorable. But an all female tour with my sister to Japan after years of travelling independently has put me off tours completely. While I can’t say I did not enjoy the trip, the cons far outweighed the pros. For me, more than the odd obnoxious person, it is the rushed itineraries that are disappointing. And the standardised hotel food. For destinations with security issues or where logistics prove difficult, we now combine short private guided tours with some independent travel thrown in. That said, I might still hop onto a tour if I am travelling solo, and that is the only way I get to visit a new place! Too bad about the Japan trip, but at least you got to enjoy it somewhat. I’m with you about the rushed itineraries, though in Egypt although we only saw the major sites, and didn’t, for instance, get out to the White Desert, it felt like a quite good pace. The food is another matter. I forgot to write about food but I think it’s one of the draw backs of tours as you’re usually taken to convenient pre-arranged places rather than being able to seek out lesser-known less touristy places. Don and I have done some excellent one-day private tours, and some so-so ones. Day tours, especially private ones are usually good value. I’m sure we’ll continue to do a combination of mostly independent travel that includes day tours, and the occasional longer tour. I always prefer to travel without some tour group. They always require too much restriction and time restraints. I prefer to wing it. But wow, it makes traveling so much difficult too! It’s easier to get lost, and if you’re in a place that doesn’t speak English, it can be scary and annoying. So sometimes, I find myself wishing I had a tour guide. I just checked our your blog Anthony! Wow, that’s a huge challenge – moving to China with no knowledge of the language. I bet you wish you had a guide from time to time. You are very brave, and I’m not surprised to hear it gets scary from time to time. I’ve bookmarked your blog to ransack for info for when we finally get to China (in a couple years maybe). 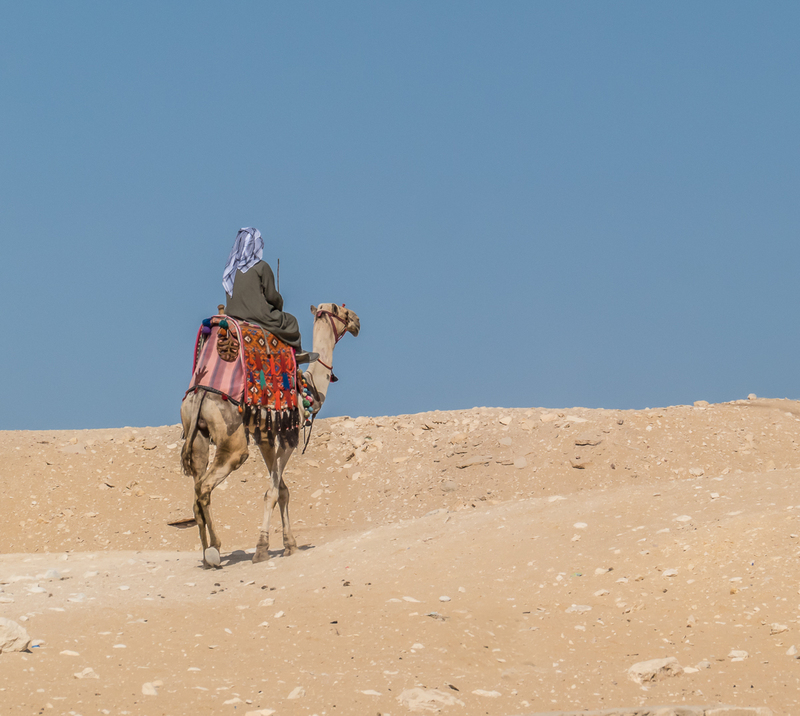 We too prefer independent travel but every now and then a tour can be a good choice: in Jordan because of the lack of public transport and the lack of information about what was available, and in Egypt for security. I’m really interested in traveling to Egypt, but everybody goes on about the security there. Still, I’d like to visit. Good luck with your travels, and definitely add China to your list! Egypt is fabulous! We did do a tour for security reasons, instead of travelling independently which we usually do, but we never felt unsafe. It’s the perfect time to visit because there are so few tourists. You’ll have all the sights to yourself. People always forget how much work goes into planning independent trips – I’ve wasted whole days of my holidays researching when I’m on the ground, to be told it’s the wrong season, a train is booked out, or something is almost inaccessible, contrary to the Internet and guidebooks. At least with tours you are guaranteed to see the sites on the itinerary, and you’re sure to meet at least one new friend! Oh I know exactly what you mean! We do quite a lot of fact-checking ahead of time, but also spend days on the road when it’s just about planning and booking where we’re going next. I wrote a post about the “work” of travel. It takes an enormous amount of time to do the research and bookings. I guess that’s a big chunk of what tour companies get paid for. It’s okay for us to travel independently because, being retired, we have unlimited time, but I agree with you – tours can be the best way to go for people with limited time. Currently experiencing the never ending planning which goes into travelling independently! The reward is always worth it when you find a great place and you have the freedom to stay longer than you set out to! However sometimes like everyone else here is saying its nice to have someone else do the planning….but somehow its also half the fun! Sometimes I love the planning, sometimes not, but there’s no doubt it’s a lot of work. We tend to plan in chunks. We had three weeks in Buenos Aires during which we planned in detail 3 weeks in Patagonia, then 2 weeks in Mendoza during which we planned the next leg up through Chile and Bolivia. Right now we’re in Playa del Carmen doing nothing much for a month and at some point we’ll start panning travel around the Yucatan, Guatemala and Cuba. It takes an enormous amount of time, but gets to be exciting too as we learn about places to go and things to do. Even with independent travel you still can’t cover it all. I don’t think we’ll be doing a tour again for a while. It was perfect for Jordan and Egypt, and we’ll do it for China when that gets to the top of the list, but our first choice is still independent travel. Have a great time on your trip! Where are you going? We are in India at the moment we are just over a week into a 3 month trip here befor India we had a month in Myanmar. India is a little crazy we are loving the food!! Have you been? India’s wild isn’t it! On two separate trips we’ve had a total of about 6 months in India. Amazing place. I can really recommend Varanasi. We spent 3 weeks in Myanmar and loved it. Another amazing place! We have just been to Varanasi it was excellent, today we visited the Taj. Next it’s to Delhi then onto Haridwar for a wedding ! Thank you so much Vikas. Much appreciated. Thank you so much. I’m glad you enjoyed it. We haven’t gotten stuck yet, though I’m certainly not ruling it out. It sounds as if you’ve found your soul place. Thanks so much Molly Rose, I’m glad you enjoyed it. Yes they do, but after five years of independent travel it was really wonderful to have someone else take care of all the logistics and details. What an amazing adventure you two are having!